The Villas are 200 meters far from the lake and they are divided into four different types of apartments, with garden or balcony. All the apartments have an open kitchen with crockery, pots, fridge, electric or gas cooker and microwave oven; living room with television, satellite, radio, central heating, sofa - bed or chair - bed, usable also as a bedroom; big bathroom with Jacuzzi or shower; balcony or terrace (or garden in the villas) with table, chairs and parasol. Surface 60 mq. Max 6 persons. It consists of one bedroom with a double bed and one bedroom with two single beds or a bunk bed, plus a lounge/bedroom with a sofa-bed for two people. Besides the many facilities of the holiday village, you can easily travel to the Italian city of Porlezza where you will find supermarkets, shops, ice cream shops, cafes and restaurants. The main road through Porlezza also takes you within 20 minutes to the beautiful Swiss city of Lugano and Lake Como. Lake Lugano occupies a fabulous location amidst the beautiful countryside at the foot of the Alps. The wooded hills and shores of the lake are interspersed with colorful villages and elegant villas. Porlezza is the largest town on the Italian side of the lake. Nearby Porlezza lies the village of Carlazzo, which has a rich and ancient history and the nature reserve around 'Piano Lake'. With its own castle and medieval fortifications, this village was once very well protected. In the towns and villages around Lake Lugano there is a long religious tradition which can be seen in the form of churches and monuments. The Church of St. Giorgio with its Romanesque bell tower in neighboring Grotto is definitely worth a visit. Also St. Stefano Church with its organ dating from 1858 by the family Serassi should not be missed. Be sure to visit the small village of Castello, built on a rocky outcropping you can enjoy the cozy stone houses, narrow streets and small balconies adorned with flowers. 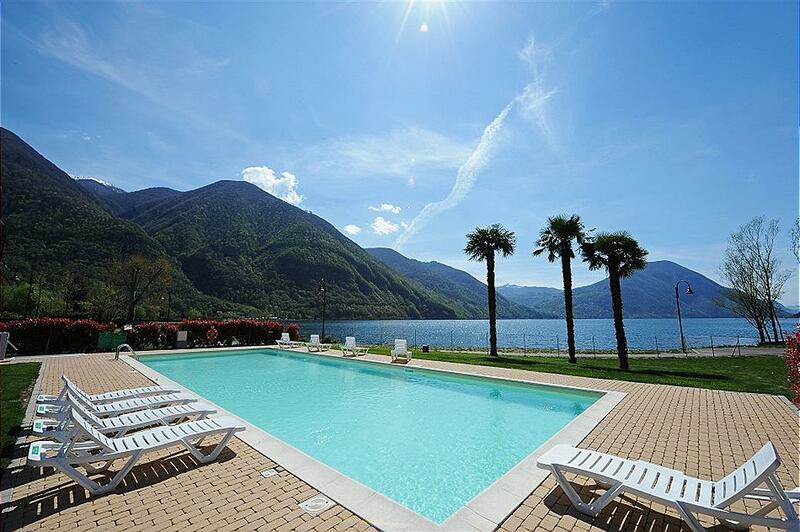 The high location provides superb views of the surrounding area and Lake Lugano. If you wish, you can take a boat trip on the lake and admire the surroundings from a different perspective. Walks can be made on the trail from Monte Lema to Monte Tamaro. Near Monte Tamaro you will find the “Alpine Coaster Bob” for hours of fun!